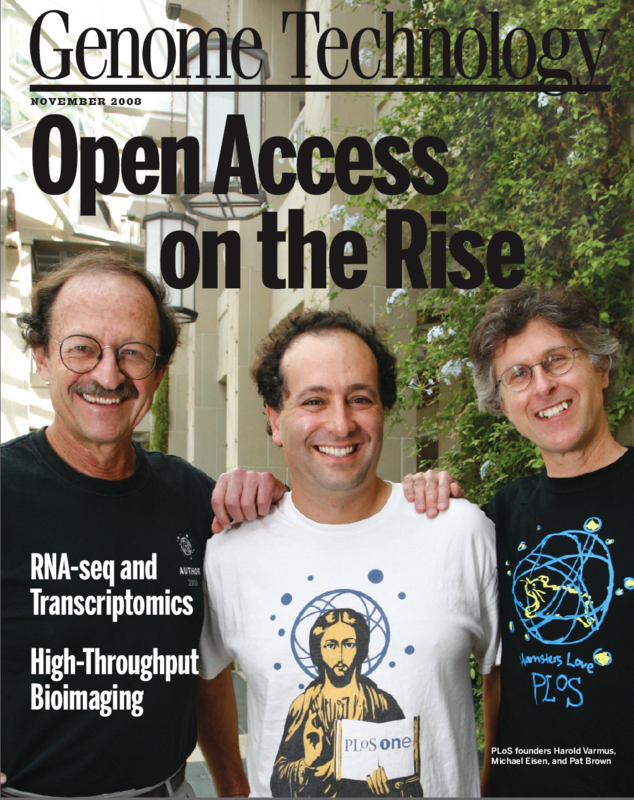 The November issue of Genome Technology has an article “Ready or Not, Here Comes Open Access” by Meredith Salisbury on the ascendancy of open access. It’s a nice picure – but they cut off the best part of my t-shirt – where is says “Where Would Jesus Publish?“!!! 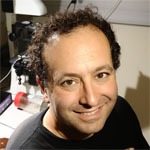 I came across your blog via a link from Peter Suber. You’ll probably recall that I had a tough assessment of your talk at the Free Culture conference a few weeks ago. It’s really a question of ends vs. means; I fully support open access too, but think sometimes strong rhetoric can be more helpful than harmful. The NIH Public Access Policy should only allow a 6 month embargo at most, but we’re stuck with 12 and even that is under threat from the Conyers bill. So I always worry about a boomerang effect from aggressive activism; never sure where the right line is. This was the spirit of my critique, not any opposition to open access. If it were purely up to me scientific publishing would be 100% open access right now. And finally, as I noted in the blog I was impressed by your achieving tenure with only OA articles. Hope this explains my reasoning better.